A security system offers plenty of protection for a homeowner, but there are some false alarms that come along with it, as well. One of those is the motion detector being triggered by things that aren’t really important. Small animals moving around outside of a house are one of the main things that trigger a motion detector, especially if it’s not correctly calibrated to look for larger or taller objects when detecting movement. That can happen inside a home, too, when people have pets. But are there other things that can trigger a motion detector? Yes, and some of them could be things that a homeowner wouldn’t really think about. Before a homeowner starts thinking that they have ghosts in the house — or that something is seriously wrong with their security system — they’ll want to stop and carefully troubleshoot what might have set off the detector. That way they can reduce the chances of false alarms as much as possible, and still understand the kinds of things that could trigger those false alarms in the future. 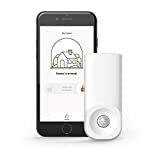 It can help reduce the risk of a homeowner getting worried every time a motion sensor goes off, but can also help that same homeowner be aware of true alarms so they can be handled quickly and efficiently. Just how sensitive are motion detectors? That depends on the detector and how the homeowner has set it up. Many detectors and sensors have switches on them where a homeowner can adjust the sensitivity. Not every detector offers this, and not every homeowner will want to change it — or even know that it can be changed. The sensitivity of these motion detectors is important to be aware of, because it’s possible to have a lot of false alarms if they’re not in the right places or adjusted correctly. As a homeowner gets used to their system, they may find things that need to be changed. 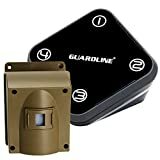 That can include the sensitivity of the motion detectors, since these detectors are very important to the overall operation of the homeowner’s security system. Some of these detectors are so sensitive, than even changes in temperature, such as too much heat, can set them off. Working with a security company means getting the motion detectors that company offers. That’s generally a good thing, but if the detectors aren’t good quality or if they’re too sensitive, they can go off when they get too warm. Motion detectors rely on the break of a beam of infrared light. When that beam is broken, the detector knows that there’s motion in the area. Then the detector sounds an alarm, letting the homeowner know there’s someone or something in the vicinity. 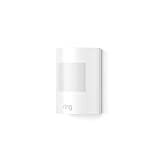 But when a sensor gets too warm it can have trouble reading or sensing that beam, which can mean a false alarm that there’s motion in the area. The more of these things a homeowner can check off the list, the more likely that homeowner will be to get the kinds of things they want when it comes to good security. That can also give them a higher level of peace of mind, so they can have a better home security experience.